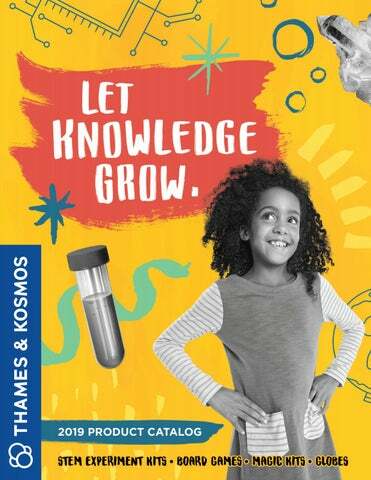 Thames & Kosmos kits offer hands-on learning through experimentation, model building, and crafting, and include comprehensive full-color books and instructions. The kits cover relevant topics that are pertinent to the world today and provide fun and enjoyable activities for effective learning. They consist of high-quality materials and custom-designed parts and have been safety tested for the United States and Europe. MAGNETIC SLIME 575001 AGES 6+ MSRP: $4.95 Mix up slime that reacts to an included magnet. HOT ICE CRYSTALS 575002 AGES 6+ MSRP: $4.95 Experiment with instantly forming sodium acetate crystals that grow before your eyes and produce heat. MAGIC SAND 575003 AGES 6+ MSRP: $4.95 Explore the bizarre properties of hydrophobic (water-hating) sand, which never gets wet and forms fascinating structures underwater. HYPERCOLOR SLIME 575004 AGES 6+ MSRP: $4.95 Make your own color-changing slime that changes from green to blue depending on the temperature. GLOW-IN-THE-DARK SLIME 575005 AGES 6+ MSRP: $4.95 Whip up a batch of slime that stores light energy and then glows in the dark! SUNSHINE SLIME 575006 AGES 6+ MSRP: $4.95 Make a slime that changes color from whiteto pinkorange in strong ultraviolet light,like direct sunlight. GLITTER SLIME 575007 AGES 6+ MSRP: $4.95 Mix up a pale blue slime and add holographic glitter flecks to it for a fun, sparkly effect. SUPER-EXPANDING INSTANT SNOW 575008 AGES 6+ MSRP: $4.95 Combine this special non-toxic snow powder with water and watch as the mixture expands to hundreds of times its original size, creating a material resembling snow! The Ooze Labs Point-of-Purchase Display holds 24 tubes and comes filled with assorted tubes. 575009 AGES 6+ MSRP: $4.95 Mix up some blue slime powder, glow pigment, and two types of glitter to make your own unique galaxy slime that twinkles and glows like the starry night sky. OOZE LABS UFO ALIEN SLIME LAB 642106 AGES 6+ MSRP: $29.95 EXPERIMENTS: 10 PIECE COUNT: 28 MANUAL PAGES: 24 As lead chemist in your very own out-of-this-world laboratory, it’s your job to identify UFOs — Unidentified Funky Oozes! Set up and use your lab station — separately or as an extension of the Ooze Labs Chemistry Station (a Parents’ Choice Silver Honor winner!) — to mix up batches of unidentified “alien” slime and conduct tests on them to analyze and investigate their special properties. OOZE LABS SOAP & BATH BOMB LAB 642107 AGES 6+ MSRP: $29.95 EXPERIMENTS: 10 PIECE COUNT: 35 MANUAL PAGES: 24 It’s time to start mixing things up! In this pretend STEM scenario, you are a chemist for a bath and body products company and it’s your job to make and test different cosmetic products. Use the tools in your laboratory to employ different scientific techniques and essential chemistry principles to make soaps and bath bombs. Try out different additives to affect the color, smell, and other qualities of the products you make. OOZE LABS CHEMISTRY STATION 642105 AGES 6+ MSRP: $39.95 EXPERIMENTS: 20 PIECE COUNT: 57 MANUAL PAGES: 16 Grab your beakers and test tubes and step up to your special laboratory station for some exciting chemistry experiments. See how much fun chemistry can be as you do slimy, fizzy, colorful, and bubbly experiments. This cool laboratory setup has lots of different vessels and pieces of lab equipment so kids can play the role of chemist while doing real, safe experiments. Combine all three Ooze Labs stations to create the ultimate chemistry laboratory! Discover paleontology and geology! The I DIG IT! series includes a variety of excavation and model kits featuring scientifically accurate dinosaur models, real mineral and fossil specimens, and quality educational materials. More Than 2 Feet Long! Build a 26-inch-long scale model of a T. rex skeleton and get exciting insights into this creature’s anatomy. The full-color manual includes step-by-step assembly instructions and information about dinosaurs, prehistoric times, and fossil formation. Each individually packed mineral specimen comes with a diamond-shaped plastic storage box and a full-color manual describing the scientific and cultural significance of each mineral. Collect all 12 types of minerals: amethyst, aventurine, blue quartz, desert rose, fuchsite, obsidian, picture jasper, quartz, red jasper, rose quartz, snowflake obsidian, and sodalite. The Minerals Rock! display holds 24 assorted mineral specimens individually packed in special boxes. 12 DIFFERENT TYPES OF MINERAL SPECIMENS! A geological expedition in the palm of your hand! Each of these fun, low-priced excavation blocks contains one real mineral or fossil specimen. The kits are blind-packed, so it’s a surprise which of the 12 specimens you will get. The Rocks & Fossils display holds 24 assorted specimens. •	A surprise treasure: Each excavation block is blind-packed and holds one of 12 possible mineral or fossil specimens. •	Each kit includes a chisel tool and instructions for unearthing your specimen. •	Great for collectors or geology enthusiasts. Each of these fun, low-priced dino egg excavation kits contains one plastic dinosaur model. The eggs are blind-packed, so it’s a surprise which of the 12 dinosaur figures you will get. A small chisel tool for digging the dinosaur out of the egg and an instruction manual are included. The Dinosaur Excavation displays holds 24 assorted dino eggs. Engineering Makerspace combines the fun and creativity of makerspaces with STEM lessons. The line includes a range of kit sizes and price points, from simple five-model kits to a large, 22-model extreme engineering experience. The modular construction system is compatible with the construction system used in Thames & Kosmos physics and engineering kits. Get hands-on with physics and engineering by constructing eight awesome walking machines! Explore the workings of gear trains, linkages, and intermittent gears as you create complex walking devices. Each model moves in a different way. For example, the four-legged terrain-walker bot keeps its body level as it moves step by step, while the kangaroo-bot hops forward on two legs. The leopard-bot has four long legs while the wild boar has four short legs. The fairy shrimp model wriggles along on swimmerets while the monkey model uses its arms to crawl along a string. With hundreds of building pieces and more than 20 models and experiments, this kit is a comprehensive and ambitious STEM experience. In five chapters, you can experimentally explore different areas of physics and engineering design by building functional models and conducting tests with them. Explore marine vehicles, submersibles, buoyancy, wind power, rotation, gears, energy conversion, center of gravity, pneumatics, hydraulics, statics, optics, and much more. THE GREAT TREEHOUSE ENGINEERING ADVENTURE 626020 AGES 8+ MSRP: $39.95 EXPERIMENTS: 9 PIECE COUNT: 61 MANUAL PAGES: 32 In this story-based STEM kit, Pepper Mint visits her aunt who is a scientist living in a treehouse on the island of Borneo. They use lessons in physics to build equipment like a pulley, zip line, catapult, and more. The kit includes materials to build the treehouse and do the projects as well as an illustrated storybook manual and scale Pepper Mint figurine. THE FANTASTIC UNDERWATER SCIENCE VOYAGE 626037 AGES 8+ MSRP: $39.95 EXPERIMENTS: 9 PIECE COUNT: 38 MANUAL PAGES: 32 In this story-based STEM kit, Pepper Mint accompanies a research expedition to the Bermuda Triangle. Using lessons in mechanical physics, electric circuits, and physical science principles related to air and water, Pepper Mint experiments with powering simple machines with the help of water. The kit includes materials to build a boat and do the projects as well as an illustrated storybook manual and scale Pepper Mint figurine. THE MAGNIFICENT MARS EXPEDITION 626038 AGES 8+ MSRP: $29.95 EXPERIMENTS: 7 PIECE COUNT: 16 MANUAL PAGES: 24 Pepper Mint’s adventures continue, this time in space! In this story-based STEM kit, our creative young heroine goes on a mission to the Red Planet, making all sorts of out-of-this-world scientific discoveries along the way. As you read the story, you can embark on a scientific journey as well. First, you’ll use colorfully printed wooden panels to construct your own models of Pepper’s rocket ship experiment-and-play station and Mars rover. Then, it’s time for the experiments: From floating astronauts to magnetic slime, Pepper Mint accompanies you every step of the way! •	Seven experiments in magnetism •	Discover invisible magnetic fields with iron powder. •	Help Pepper hover in the air using magnetic forces. •	Control the Mars rover with a bar magnet. •	Rocket ship playset can be used as the setting for your own explorations and stories. •	Combine models from other Pepper Mint kits to embark on a creative and educational playtime adventure. THE DARING ESCAPE FROM HIDDEN ISLAND 626039 AGES 8+ MSRP: $34.95 EXPERIMENTS: 7 PIECE COUNT: 11 MANUAL PAGES: 24 We all know Pepper Mint loves to investigate and explore, so it’s no wonder that when she hears of the mysterious Hidden Island, she immediately sets off to find it. But once she discovers it, she must use her ingenuity and scientific reasoning to get back home. In this story-based STEM kit, you can join our curious young scientist on her quest. First, you’ll use colorfully printed wooden panels to build an island experiment-and-play station. Then, it’s time to follow along with the storybook-style manual to conduct the experiments Pepper Mint performs. Through the projects, you will thoroughly investigate the topic of solar energy and its useful applications. Get ready to totally geek out on awesome science projects! GEEK & CO. SCIENCE is a series of science-themed project kits that put fun first to make learning truly approachable and entertaining. With each kit, kids build or make a tangible, lasting item â&#x20AC;&#x201D; an object worthy of keeping on display or giving as a gift after the fun and educational process of creating it is over. Erupt a model of the largest volcano in our solar system, Olympus Mons on Mars. It is three times taller than Mt. Everest. Using a special plaster mixture and iron oxide powder, your mega-volcano hardens after each eruption and slowly grows like a real volcano. Make your own glow sticks in three colors using non-toxic phosphorescent substances and a special glow stick tube with a builtin ultraviolet light. Experiment with different glowing chemicals from around the house. RAINBOW GUMMY CANDY LAB 550028 AGES 6+ MSRP: $19.95 PIECE COUNT: 11 MANUAL PAGES: 16 Unicorns, clouds, and rainbows ... oh my! Make your own delicious, fun gummy shapes using a gelatin mixture: Pour it into the included mold and concoct a spectrum of flavors and colors to personalize your unicorn, cloud, and rainbow-shaped gummy creations. You can even add citric acid to make sour gummies. Learn about the scientific properties of natural polymers as you cook up these delicious treats! This kit includes all the food ingredients needed for a rainbow-gummy good time. GROSS GUMMY CANDY LAB 550026 AGES 6+ MSRP: $19.95 PIECE COUNT: 10 MANUAL PAGES: 16 Gross new shapes, delicious new flavors! Mold your own yummy gummy worms and spiders using a natural gelatinlike ingredient called carrageenan that comes from seaweed. Flavor and sweeten your gummies with mixed berry and green apple flavors, or add citric acid to make them sour! Food ingredients included. 550024 AGES 6+ MSRP: $19.95 PIECE COUNT: 10 MANUAL PAGES: 16 Mold your own delicious gummy candies using a natural gelatin-like ingredient called carrageenan that comes from seaweed! Flavor and sweeten your mixture with two flavors and then mold the gummy shapes in the included mold. You can even add citric acid to make sour gummies! Learn about the scientific properties of natural polymers. Food ingredients included. CHEWING GUM LAB 550023 AGES 6+ MSRP: $19.95 PIECE COUNT: 24 MANUAL PAGES: 16 Make your own yummy chewing gum! Sweeten your gum with sugar and flavor it with two flavors. Wrap it up, label it, and package it in the included metal tin. Learn about the scientific properties of elastic materials like gum. Food ingredients included. Grow a beautiful crystal geode — a hollow rock with crystals inside it­­— by first molding a plaster shell and then filling it with a crystalforming solution. Learn about geological crystal formations. This robot kit teaches coding principles and skills to children in grades K-2 without the use of a tablet, smartphone, or computer! An OID optical scanner in the robot reads a sequence of physical code cards and loads the program. A detailed manual guides kids through 30 coding lessons and the assembly ADDITIONAL of many different robot EDUCATOR MATERIALS models. AVAILABLE! Add more robotic creations to Sammy’s world! This add-on pack for Kids First Coding & Robotics introduces eight new mechanical robots with engineering challenges to perform with each one. These new models, including a bulldozer, scissor lift, plow, and hammer, offer up new stories and scenarios for you to apply your growing coding knowledge to: Can you build a catapult to shoot a ball into a basket? Can your forklift robot retrieve an object? Can your robotic claw extend and grip something just out of reach? Includes all the pieces needed to build the new models, and six map cards. The robotic base unit, code cards, and map cards from Kids First Coding & Robotics are also required. This big, colorful microscope was designed specifically to enable young kids to have successful microscopic viewing experiences, and to be a fun tool for early biological investigations. The kit comes with 24 printed slides and one blank slide as well as a storybook-style manual that instructs kids how to use the microscope and guides them on a series of introductory lessons. Preschoolers and kindergartners have a natural curiosity to explore and learn about the world around them. This kit includes 24 large plastic scientific tools to ensure long-lasting fun and exploration. A 16-page, full-color manual explains to adult supervisors how these tools should be presented to children, while illustrated experiment cards visually guide children as they observe and play. Read the funny story of two inquisitive young engineers, Ty and Karlie, and their family’s robots, Huxley and Remus. Build simple models of the boats they encounter in the story. The boats actually float on water, making for fun and easy experiments around the sink or bathtub. Includes durable storage case and storybook manual. Read the funny story of two inquisitive kids, Ty and Karlie, and build simple, non-motorized models of the robots they construct and fix during their adventure to an automated candy factory. Includes durable storage case and storybook manual. Ty and Karlie kid build ten models of flying machines to help the people they encounter on their hilarious family vacation. Includes durable storage case and storybook manual. Build simple models of the amusement park rides that Ty and Karlie encounter on their hysterical family trip to the fair. Along this roundabout journey, the kids build, fix, and enjoy various amusement park rides. Large, colorful plastic building pieces. Includes durable storage case and storybook manual. LEVEL 2 Build a series of adorable, motorized robotic animals with this introductory mechanical engineering kit for kids ages five and seven. A beautifully illustrated 32-page storybook centers around the adventures of the Omegas — the family of makers and engineers featured in other Kids First early engineering kits. When Remus, the family’s robotic teddy bear, finds himself separated from the rest of his family, he embarks on a fun-filled safari adventure. Along the way, Remus encounters eight different robotic animals from all over the globe: a polar bear, cat, narwhal, crab, fox, baby llama, unicorn, and sea otter. As they follow the story, kids can build models of these robots and experiment with them to see how each one uses the batterypowered motor and mechanical parts to move in a different way. •	Learn about plants and seeds. •	Experiment in specially designed greenhouse domes. •	Experiment with simple machines like levers and pulleys. •	Conduct engineering projects on land, in the air, and in the water. Unearth the secrets of geology as you dig deep into the science of rocks and minerals and the crystals that form them. Through 18 hands-on experiments, kids ages eight and up will discover some pretty amazing things about geology, mineralogy, and crystal growing. As you explore, you’ll get an overview of the geologic rock cycle and discover how the three main categories of rock — igneous, sedimentary, and metamorphic — are formed, altered, destroyed, and formed again. •	Mold your own crystal geode. •	Grow three different types of crystals. •	Conduct mineral identification tests on real specimens. •	Learn about the rock cycle. Speed, power, catapults, and collisions! Physics and engineering are full of action! Kids will have the 20 models in this introductory kit racing, rolling, flying, falling, crashing, balancing, and spinning around in 22 action-packed science experiments. After following step-by-step illustrated instructions to build each model — which include a tightrope walker, elevator, crane, windmill, and all-wheel drive ATV — kids test the models to demonstrate and comprehend basic laws of mechanical physics and how they exist in our everyday lives. Discover the science of living things with this complete introductory microscope kit. The beautifully illustrated experiment manual guides you through observations of living specimens found in and around your home. The kit includes a 96x to 750x magnification microscope with battery-powered light and a mirror, three prepared specimens, four blank slides, cover slips, tweezers, needle, section slicing tool, and vial. Explore chemistry as you cook up candies and chocolates in the kitchen! Perform a number of sweet experiments and learn important physical science principles related to candy and cooking. Gain experience with measurements and conversions, volumes, and weights. Investigate the chemistry of gummy bears. Make gummy candies, chocolate shapes, and hard sugar candy using the special tools included: plastic and metal molds, candy thermometer, spatula, dipping fork, and more. Learn about reactions between solids, liquids, and gases. Discover the colorful effects of acids and bases. Perform astonishing "magic" tricks for your friends. Make fizzy and foamy reactions. Write messages with invisible ink. Investigate metals and salts in electrochemical experiments with a 9-volt battery (not included). Learn for yourself how chemistry goes far beyond textbooks and laboratories to explain occurrences that happen around us every day. Itâ&#x20AC;&#x2122;s time to get medieval on physics! Build ten sleek and updated models of catapults and crossbows. These classic siege weapons from the middle ages also happen to be great tools for teaching physics, including lessons in force, energy, motion, and projectiles. Build and experiment with five different types of crossbows. The projectile, called the bolt, has a safe foam tip and a special cross-section that prevents other projectiles from being launched. LEVERS Jumpstart your study of mechanical physics by learning all about simple machines and how they’re used to make complex tasks easier to do. The seesaw at the playground, the wheelbarrow in your backyard, the flagpole in front of your school — all of these are examples of simple machines in the real world! So start building, investigating, and experimenting to discover how physics is all around us. Through 26 model-building exercises, you’ll investigate all six classic simple machines — wheels and axles, levers, pulleys, inclined planes, screws, and wedges — as well as gears. Start off with simple models to gain a firm understanding of the basic principles at play, and then move onto larger, more complex models to push the machines harder and see how they can work together. Also included is a specially designed spring scale so that you can measure how the machines change the direction and magnitude of forces, making work easier to do. •	Gain hands-on experience with all of the classic simple machines. •	Durable, modular construction system •	Assemble and disassemble the models again and again. •	Explore simple machines in action in everyday life. The state of Earth’s atmosphere affects us all, which explains why the weather is one of the most popular topics of conversation and scientific study. With 23 hands-on experiments, you can investigate specific weather phenomena as well as the climate system in general. Build a model of Earth and its atmosphere and then use it to conduct experiments that show how the global wind system works. Trace air currents from the icy cold poles to the warm equator and back with a wisp of smoke. Model Earth’s heat reservoirs, thermals, and global and local winds. Recreate ocean currents in a small basin of water. Microscopes reveal amazing secrets hidden in the microscopic world. But how do they work? Assemble your microscope step by step and learn the functions of its optical and electronic components in the process. Then, you can take your handy microscope with you everywhere and study animals, plants, rocks, and coins, or the surfaces of objects and materials wherever you go. Build a 20x to 40x microscope from 28 parts. Assemble the lenses and adjustment wheels. Wire up the switch and LED lighting. Take your microscope on a voyage of discovery. For thousands of years, people have treasured colorful rocks, beautiful crystals, and valuable jewels. Using the ten mineral specimens and other materials in this kit, you can conduct experiments to learn how Earth creates these natural treasures. Learn how to identify and distinguish mineral specimens by testing their properties such as density, streak color, hardness, and translucency. Find out how and where crystals and minerals are formed. Cast crystal shapes out of plaster to explore the tiny building blocks of minerals. Astonish yourself with optical illusions and amazing visual phenomena as you explore human perception and the physics of light. Experiment with light and the color spectrum by building a color wheel, a fiber optic peacock, and diffraction glasses. Learn how the eye and a camera are similar and how they are different. Build a camera obscura and pinhole glasses. Experiment with spatial vision and depth perception with 3D glasses and an Ames room model. See firsthand how your eye and brain work together to perceive color, light, depth, perspective, size, shape, and motion. GROW A CRYSTAL Grow sparkling, colored crystals overnight from a safe solution of potassium aluminum sulfate. Single out the largest crystal shard, redissolve the remaining crystals, and repeat the crystal formation process to grow a larger, more striking crystal. These kits include all the materials and tools you need to grow a single crystal, as well as a small hexagonal storage box in which to keep your crystal safe. Available in pink, blue, green, yellow, and new mystery colors! Grow dozens of dazzling crystals and conduct 15 illuminating experiments with this classic science kit. Experiment with four chemically different crystals each with different properties. Mold fun plaster shapes and grow layers of crystals on them. Mix your own dyes to grow a rainbow of custom colored crystals. Mold your own geode. Display your crystal creations in a clear treasure chest with a locking lid. Grow dozens of colorful crystals, including two types of crystals that glow in the dark. Experiment with growing a variety of crystals from a potassium alum salt solution. Mold fun plaster shapes, including moons, stars, neon signs, frogs, and gemstones and then grow layers of crystals on them, or mold your own crystal geode! Learn about the structure and geometry of crystals. The science of nanotechnology deals with the smallest structures, in the range of one to 100 nanometers in size. With this kit, the intangible, nanoscopic world becomes accessible with hands-on experiments using both scaledup models and real nanomaterials. Conduct experiments involving size and scale, charcoal filtering, hydrophilic and hydrophobic surfaces, and mixtures and suspensions. Explore exotic materials such as colloidal gold and a gecko footpad mimicking material. Learn about the electromagnetic spectrum, laser light, electron microscopy, and atomic force microscopy. Soaring spires, towering arches, fascinatingly complex curves and angles! Build your foundation in architectural design with this fascinating STEM experiment kit that explores the engineering principles behind planning and developing buildings and structures. Through model building exercises you play the role of architect and engineer as you piece together an array of models, from small, basic structural elements like trusses, arches, and domes, to giant complex models of real-world buildings. Try building the Sydney Opera House, or put the Eiffel Tower on display in your living room! With 20 guided model builds, you can construct stadiums, skyscrapers, a ferris wheel, and more. By getting hands-on with these exercises, you’ll develop an understanding of how architectural engineers apply scientific principles to their designs and how the buildings and structures of the 21st century push materials and engineering to the limits. The 44-page, full-color manual guides your journey while encouraging independent exploration. What is the tallest tower, the most voluminous dome, or the longest bridge you can build with the modular building pieces? How will you use what you learn to further your architectural journey? •	Play the role of architect and engineer. •	New flexible building system mimics steel frames. •	Explore the field of architectural design. •	Learn about modern day building materials and common architectural elements. •	Challenge yourself to dream up your own designs. •	Compatible with other Thames & Kosmos engineering and physics kits. With this kit of modular building pieces, you can learn the basics of structural engineering by conducting a series of 20 modelbuilding experiments. Each model demonstrates a basic principle of mechanical physics or structural engineering in a hands-on way. Build six mechanical models of the types of arms, grabber claws, and legs found on robotic machines. Explore mechanical engineering principles firsthand as you assemble and play with these working models. Learn how pneumatic and hydraulic systems are used in industrial robots to enable the robots to manipulate heavy objects, such as automobile components. Build and experiment with a new type of environmentally friendly “fuel cell” to learn about electrochemical cells and BEV’s (Battery Electric Vehicles). The battery is a metal-air electrochemical cell, a type of battery that is widely used in small scale devices. It uses magnesium plates, salt water, and the oxygen in the air to generate electricity. Construct a solar-electric boat and five additional models using an innovative motor module that can be powered by a solar cell or batteries. Build a solar catamaran driven by a fanboat-like propeller, a windmill, airplane model, spaceship model, fan, and rocket model. Learn how solar cells convert energy from sunlight into electricity to drive the motor and move your models. Build wind-powered generators to energize your electric vehicles and charge your rechargeable batteries! The wind spins the turbine, which turns an electric generator, which in turn charges your rechargeable AA batteries (not included). Build your own solar-powered models and discover how solar cells generate electricity from light. Build six solar powered models including a locomotive, single-prop plane, bulldozer, helicopter, backhoe, and twin-rotor helicopter. The special solar panel in this kit consists of three solar cells and generates 1.5 volts of electricity in bright sunlight, like a AA battery. Bring physics to life! The core of this science kit is an app-based video game in which you use 620486 AGES 8-14 MSRP: $149.95 real-world sensor data that you collect from PIECE COUNT: 4 your environment to generate a diverse array of MANUAL PAGES: 1 POSTER creatures. Take temperature, sound, and light readings with the physical sensor pods and transfer the readings to the game via the base station. The sensor data dictates the attributes your bioengineered creatures will have. Create, collect, play with, and take care of your creatures in the app. By building 37 models and conducting experiments with them, you will learn the fundamental laws of mechanical physics. Start by building small models, such as a fixed pulley, to learn about forces and simple machines. Then, work your way up to more complex machines, such as a pendulum clock, to learn more advanced concepts like work and centripetal force. This hands-on approach is both fun and effective. By building ten awesome models and conducting experiments with them, you will learn how solar cells transform light into electrical energy, and how motors and mechanical devices can optimize the work done by this energy. Construct a solar-powered helicopter model, solar-bot, moon rover, stag beetle, and praying mantis model. Super sweet stunts! Build your own gumball machines and learn physics lessons in the process. A turn of a handle dispenses one gumball at a time out of the clear storage globe and down the track. The gumballs land in a collection cup and can easily and sanitarily be returned to the globe for another run. The track segments can be moved around on the base to create an almost limitless number of different gumball machines. As the gumballs roll down the track, they perform cool stunts and tricks. Stunts include a pulley lift, pendulum, funnel, trampoline, variableslope ramp, pinball launcher, and domino slide. Each segment of the track teaches a different lesson in mechanical physics, allowing users to explore topics including simple machines, force, motion, momentum, gravity, Newton’s laws, energy transfer, and more. Trial-and-error experiments teach in a fun, hands-on way: Will your gumball successfully make it to the end of the track, or will you have to reengineer your gumball machine to make it work? The kit works with standard machine-size, 16-mm (5/8-inch) gumballs and includes a small supply of gumballs to get started. •	Build your own gumball machines. •	Learn physics lessons in the process. •	Gumballs perform cool stunts and tricks as they roll down the track. •	Stunts include a pulley lift, funnel, trampoline, pinball launcher, and more. •	Create an almost limitless number of different gumball machines. •	Learn lessons in mechanical physics and explore topics like gravity, Newton’s laws, energy transfer, and more. •	Works with standard machine-size gumballs. •	Gumballs included. REMOTE-CONTROL MACHINES: FARM 620381 AGES 6-10 MSRP: $99.95 MODELS: 8 PIECE COUNT: 355 MANUAL PAGES: 64 Construct eight models of realistic farm equipment and four models of special attachments for them. Control them with a multi-channel, radio-frequency remote-control unit and gain engineering design experience as you follow the visual assembly diagrams to piece these models together, configuring their motors, gears, wheels, axles, levers, frames, and connection points to fit together perfectly. Learn about physics and simple machines and other scientific concepts related to farming. REMOTE-CONTROL MACHINES: CUSTOM CARS 620376 AGES 8+ MSRP: $99.95 MODELS: 10 PIECE COUNT: 260 MANUAL PAGES: 80 Automotive engineering hits the fast-track with this kit that allows you to construct ten different remotecontrolled cars. Youâ&#x20AC;&#x2122;ll learn about the various components of real cars, such as wheels, transmissions, engines, axles, brakes, and suspension as you explore the physics of speed, acceleration, energy, and aerodynamics. Build eight models of realistic heavy-duty construction vehicles and control them with a remote-control unit. The models can be controlled both to drive around on the floor and to move their work tools, such as buckets, shovels, forks, and cranes. Investigate the concepts of force, torque, and simple machines with these working models. Build your own motorized vehicles and machines and control them with a wireless remote control unit. A unique six button infrared remote allows you to control three different motors simultaneously, moving each of them forward or in reverse, with easy-toactivate touch sensors. The three motors can be combined to make complex vehicles and machines in numerous configurations limited only by your imagination. Construct a whole zoo’s worth of remotecontrolled animals with mechanical insides covered by colorful plastic “skins.” Build an elephant, scorpion, penguin, rabbit, crab, orangutan, Tyrannosaurus rex, and Pteranodon. The animals move using different mechanisms, each one mimicking the movement of the real animal it represents. Ready your courageous robots for a mission to Mars! With this engineering kit, you can build a remote-controlled model of a robotic rover resembling the ones used to explore Mars. Construct nine other space-themed models including: a lunar rover, rocket launcher car, space shuttle, robotic payload arm, moon lander, satellite, Mars station, and more. Build your own motorized vehicles and machines and control them with a wireless remote control unit. A unique six-button infrared remote allows you to control three different motors simultaneously, moving each of them forward or in reverse, with easy-toactivate touch sensors. The three motors can be combined to make complex vehicles and machines. Build your own adorable robotic pet hedgehog! With the 172 building pieces in this kit, you can assemble a real robot that looks like a cute hedgehog. The robot has a built-in sound sensor and is programmed to react to different sounds. After you build it, you can play with it by making different sounds and watching it tumble, roll, spin around, bristle its spines, and scurry around. Clap once, and the hedgehog will roll into a ball and tumble backwards. Clap multiple times, and the hedgehog will count your claps and tumble as many times as you instructed with your claps. You can also get the hedgehog to bristle its spines and act in a playful way with different patterns of claps. The hedgehog’s eyes light up with LEDs. By building the robot, you will gain experience in the inner mechanical workings that enable the robot to move how it does. Learn about gears, motors, sound sensors, LEDs, and the other components of this funny little pet. •	172-piece robot building kit •	Robotic hedgehog moves on command. •	Includes sound sensor and LED lights •	Program the robot with your claps. •	Hedgehog tumbles, rolls, spins around, bristles its spines, and scurries around. •	Learn about the inner workings of robots. A robot that defies gravity?! That’s what you get with Air-Walker, a four-legged bot that uses an ingenious system of suction cups and pumps to crawl along smooth, vertical surfaces like windows. A follow-up to the award-winning Geckobot STEM experiment kit, Air-Walker uses technology similar to that found in its reptilian predecessor, but with easier assembly. Your Air-Walker can crawl in a straight line, to the left, or to the right, while a special mechanism makes the robot’s head move back and forth as its body moves forward. You can also build four other models with the same components and learn how suction and mechanical devices can be used in different real-world applications. A vacuum-suction machine sticks to and lifts flat panels, while a robot with just two suction cups rotates around a central pivot point. This hands-on construction kit brings engineering and physics to life as it demonstrates the power of air pressure at work. A 32-page, full-color manual guides your model building and experiments with clear step-by-step illustrated instructions. Build an astonishing wall-climbing robot with a motorized air suction system that enables it to walk vertically up and down perfectly smooth surfaces like glass, plastic, whiteboards, and glossy laminates. You can also build six additional models and conduct experiments with suction to learn about air pressure and mechanical physics. Explore the astonishing powers of the gyroscope by building seven motorized models, including a robot that can balance on two linear wheels and move along a tightrope! Learn about the physical science principles that keep the robot balanced. Fun, hands-on experiments with the motorized gyroscope unit make physics come alive! This kit gives kids a simple, fun, and customizable introduction to robotics that lets them build eight motorized machines controlled by programs and an ultrasound sensor. Build a humanoid robot that walks forward on two legs and pivots to avoid obstacles in its path. Code the programs using an easy, visual programming app on a tablet or smartphone, which connects to the robot models via a wireless connection. A follow-up to the best-selling original Robotics: Smart Machines kit, this version focuses on wheeled robots. Like the original, this kit also gives kids a simple, fun, and customizable introduction to robotics that lets them build eight motorized machines controlled by programs and an ultrasound sensor. Kids code the programs using an easy, visual programming app on a tablet or smartphone, which connects to the robot models via a wireless Bluetooth connection. The latest installment in the award-winning Robotics: Smart Machines line, this version focuses on motorized machines that make use of continuous tracks, also known as tank treads, to move themselves and other objects around. Models are controlled by programs and an ultrasound sensor, so in addition to constructing the machines, you’ll also learn how to use the included visual programming app on your tablet or smartphone to code the programs yourself. Build a robot with two large continuous tracks that drives around and avoids obstacles in its path. The attentive tracker bot model detects your hand, moves toward it, and follows it around. Construct models of real-world smart machines, like a conveyor belt robot that carries small objects and an escalator model that carries objects up to another level. You can also assemble other fun robots including a dozer bot with a bulldozer attachment on its front end and a fire rescue robot that drives its ladder up close to other objects. Once you understand how the technology works, you can build your own robots using the kit’s 197 building pieces and create your own programs in the programming app, which is available on iOS and Android devices (tablet or smartphone required, not included). Use the stand-alone digital assembly app to follow the interactive assembly instructions on your tablet. •	Build and program eight motorized robots. •	Models use tracks and tank treads to move themselves and other objects around. Assemble a wind turbine complete with electric generator and adjustable rotor blades. Conduct experiments with your wind turbine, including experiments to optimize its performance by adjusting the angle of the blades. Use the wind turbine to light up an LED and charge a rechargeable battery. Convert the turbine into an electric fan by using the generator as a motor. •	Build a three-foot-tall wind turbine that generates electricity and lights an LED or charges a battery. •	Discover how wind occurs and why it is a promising source of renewable energy. With a completely redesigned body, rewritten manual, and new display stand, the Fuel Cell Car kit is better than ever! This new edition of the original kit covers the same topics of electrolysis, solar cells, and fuel cells, and has been updated with the latest technology and a beautiful new design. •	Learn how solar cells turn sunlight into electricity. •	Experiment with a unique reversible PEM (Proton Exchange Membrane) fuel cell. •	Discover how fuel cells work. •	Calculate the efficiency of the solar cell and fuel cell. Follow your nose on a fragrant journey through the science, history, and art of making perfumes. Experiment with countless fragrance combinations on your way to becoming a master perfumer. This kit is a complete perfumer’s laboratory that includes eight perfume oils, finishing solution, decorative flacons, and tools of the trade. •	Discover the history of perfumes. •	Extract fragrances from plants. •	Design your own fragrances. Experience the beautiful side of biology and chemistry with this unique collection of experiments focusing on the science of skin care, body care, and beauty products. Mix raw materials to make colorful hot-pour glycerin soaps. Design fizzing bath bombs in fun molded shapes. The extensive manual explains the science and history of cosmetics, and offers instructions for beauty recipes and chemistry experiments. •	Make molded glycerin soaps, fizzing bath bombs, sea salt body scrub, soap dough and bath jellies. With precision mechanics, quality optics, and bright LED lighting, this microscope is designed specifically for students. Examine the countless living creatures in a single drop of pond water or the honeycomb-like arrangement of cells in an onion skin. The included microscopy book offers additional ideas for natural specimens to find, prepare, and observe with your microscope. Embark on a guided journey through the microscopic world, revealing its hidden creatures and unseen structures with the TK 2 Scope. Learn how to use the microscope and perform guided investigations of plant and animal specimens that you gather and prepare yourself. Construct circuits with colorful electric building blocks to learn about electricity and how electronic devices work. With the innovative snap-together blocks in this kit, children eight and up can safely and easily begin experimenting with electronic circuits. These building blocks are specially designed to make learning electronics fun and accessible. Tap into the awesome world of electronics with this advanced system of snap-together electric building blocks. With more than 140 electronic components including capacitors, resistors, transistors, LEDs (light emitting diodes), phototransistor, switches, speaker, integrated circuit, infrared LED, diodes, FM tuner, 555 timer, operation amplifier, two potentiometers, electrodes, voltage and current meter, microphone, and 9-volt battery pack. Safely experiment with the physical science theories and applications of electricity and alternating current in 110 experiments. Operate an electromagnetic coil, capacitor, and transformer in an AC circuit and examine their behaviors at different frequencies. A special AC generator creates a harmless AC current for your experiments. TK1 TELESCOPE & ASTRONOMY KIT 677015 AGES 12+ MSRP: $169.95 EXPERIMENTS: 20 PIECE COUNT: 15 MANUAL PAGES: 32 With this excellent entry-level telescope and astronomy kit, Kosmos continues a long tradition of inspiring people to reach for the stars. This high-quality refractor telescope with coated glass optics and plenty of accessories allows for countless exciting space observations. With it, you can see many planets, the moons of both Jupiter and Saturn, craters on the Moon, stars, nebula and galaxies. Features include quality optics, durable construction, sturdy aluminum tripod, and astronomy book. MASTER DETECTIVE TOOLKIT 630912 AGES 8+ MSRP: $49.95 EXPERIMENTS: 26 PIECE COUNT: 33 MANUAL PAGES: 48 Grab this briefcase full of investigatorâ&#x20AC;&#x2122;s tools and get ready to track down some crooks! Learn about how detectives use forensic science to answer questions, gather evidence, and solve crimes. Experiment with the equipment and techniques used by real detectives to develop your own observation and problem-solving skills. Barbie™ and her friends take a trip to a vegetable and flower farm. While at the farm, they conduct a number of experiments with plants and learn many lessons in plant biology. As you read the story, you can perform experiments alongside Barbie to learn about plants. Experiment with water-absorbent soil pellets and set up a small greenhouse to grow garden cress. Observe the effects of water, soil, sunlight, temperature, and contamination on the plants. Plant peas and make a maze for your pea plants to follow. Grow four different types of flowers from seeds: marigold, zinnia, phlox, and dianthus. Set up a plant stand for your potted flowers. Make seed bombs and decorate plaster garden stones to adorn your greenhouse and potted plants. The kit includes a 16-page illustrated storybook manual, greenhouse, six types of plant seeds, plant pots and dishes, soil pellets, and other tools and materials for the experiments. After finding inspiration to learn about crystals from her grandmother’s rock collection, Barbie™ and her friend visit a natural history museum. A geologist teaches them about the rock cycle and then takes their whole science class on a field trip to find and identify real mineral specimens. As you read the story, you can perform experiments alongside Barbie to learn about geology. Use special tools to excavate three real mineral specimens from a plaster block. Conduct mineral identification tests on them to find out what they are, and then mount the mineral specimens onto rings you can keep and wear. Learn about the geological science of how minerals form, the rock cycle, and mineral identification tests. BARBIE and associated trademarks and trade dress are owned by, and used under license from, Mattel. ©2019 Mattel. All Rights Reserved. Barbie™ is one of the top students in her chemistry class. For an extracurricular project, she and a fellow classmate put together a series of science demonstrations to present to other students at their school. This colorful carrying case is actually a portable science lab with all sorts of tools and materials for science experiments. As you read the story in the illustrated manual, you can experiment with six fun, safe potions and concoctions. Make a glittery pink slime. Mix up a color-changing mood putty. Erupt a volcano in a test tube. Make a lava-lamp-like fizzing reaction. Grow a delicate crystal feather. Experiment with bouncy golden putty. Learn the chemistry and physical science behind all the special properties of these potions. BARBIE and associated trademarks and trade dress are owned by, and used under license from, Mattel. ©2019 Mattel. All Rights Reserved. Kosmos Helper App Would you prefer to have the rules of a game explained to you instead of reading the rulebook? If so, please download the free Kosmos Helper App. In the app, you can find animated explanations of the instructions and other helpful features for a selection of Kosmos games. At the time of printing, Ubongo, Imhotep, Tumult Royale, Mag-O-Mag, and EXIT are all included in the Helper App, and more games will be added. You can find the app by searching â&#x20AC;&#x153;Kosmos Helper Appâ&#x20AC;? in the iOS App Store or in Google Play. Thames & Kosmos brings you a curated selection of high-quality board games from the prestigious Kosmos line. Working with highly esteemed authors and designers, Kosmos develops games that are not only fun, enchanting, and addictive, but also beneficial and wholesome in so many ways: These games build social skills, stimulate logical and strategic thinking, promote visual-spatial and math skills, cultivate physical coordination and manual dexterity, encourage family time, and inspire fairmindedness, confidence, and honorable attitudes. German engineered and beautifully made, these games become enduring family favorites and game night classics. For all these reasons, Kosmos games have earned worldwide acclaim. Escape Room Games for the Home! The EXIT: The Game series allows you to bring the excitement, intensity, and team spirit of an escape room to your living room. In each EXIT game, your team starts out locked in an imaginary room or trapped somewhere. You must solve a series of riddles and puzzles in order to unlock doors and objects, and reveal new riddles. Each correct solution brings you to another riddle and eventually to freedom. EXIT: THE SUNKEN TREASURE 694050 AGES 10+ MSRP: $14.95 GAME AUTHORS: INKA AND MARKUS BRAND PLAYERS: 1-4 PLAY TIME: 1-2 HRS While investigating a mysterious shipwreck, something goes terribly wrong and you are trapped deep underwater! Difficulty Level: 2 of 5. EXIT: THE MYSTERIOUS MUSEUM 694227 AGES 10+ MSRP: $14.95 GAME AUTHORS: INKA AND MARKUS BRAND, AND RALPH QUERFURTH PLAYERS: 1-4 PLAY TIME: 1-2 HRS Your relaxing day at the museum is quickly derailed by an incredible adventure! Can you solve the mysteries of the museum and find a way out? Difficulty Level: 2 of 5. EXIT: THE SINISTER MUSEUM 694036 AGES 12+ MSRP: $14.95 GAME AUTHORS: INKA AND MARKUS BRAND, AND RALPH QUERFURTH PLAYERS: 1-4 PLAY TIME: 1-2 HRS You are invited to be a guest at a palatial mansion, but upon arrival, you find yourselves forced to take part in a macabre game. Difficulty Level: 3 of 5. EXIT: DEAD MAN ON THE ORIENT EXPRESS 694029 AGES 12+ MSRP: $14.95 GAME AUTHORS: INKA AND MARKUS BRAND PLAYERS: 1-4 PLAY TIME: 1-2 HRS The culprit of a grisly crime is still on board your train. It’s a race against time to piece the clues together before the train reaches its destination. Difficulty Level: 4 of 5. EXIT: THE FORGOTTEN ISLAND 692858 AGES 12+ MSRP: $14.95 GAME AUTHORS: INKA AND MARKUS BRAND PLAYERS: 1-4 PLAY TIME: 1-2 HRS Shipwrecked on a deserted island, find an old book and a mysterious golden compass disk … Can you solve the riddles left for you and escape the island? Difficulty Level: 3 of 5. EXIT: THE FORBIDDEN CASTLE 692872 AGES 12+ MSRP: $14.95 GAME AUTHORS: INKA AND MARKUS BRAND PLAYERS: 1-4 PLAY TIME: 1-2 HRS While on vacation in an idyllic village in the mountains, you are trapped in the throne room of a mysterious castle. Can you solve all of the puzzles in time to escape? Difficulty Level: 4 of 5. EXIT: THE POLAR STATION 692865 AGES 12+ MSRP: $14.95 GAME AUTHORS: INKA AND MARKUS BRAND PLAYERS: 1-4 PLAY TIME: 1-2 HRS The evacuation alarm goes off at your North Pole research facility! You run to the door, but it has already been locked automatically. Difficulty Level: 3 of 5. EXIT: THE SECRET LAB 692742 AGES 12+ MSRP: $14.95 GAME AUTHORS: INKA AND MARKUS BRAND PLAYERS: 1-4 PLAY TIME: 1-2 HRS Vapor rises from a test tube and you start feeling dizzy. When you wake up again, the door is locked, and you discover a notebook and a strange disk ... Can you escape the lab? Difficulty Level: 3.5 of 5. EXIT: THE PHARAOH’S TOMB 692698 AGES 12+ MSRP: $14.95 GAME AUTHORS: INKA AND MARKUS BRAND PLAYERS: 1-4 PLAY TIME: 1-2 HRS As you crawl through the narrow passageways, you lose the rest of your tour group. You enter a mysterious burial chamber. A massive stone door closes behind you! Difficulty Level: 4 of 5. The EXIT Counter Display holds 10 units. Exit: The Abandoned Cabin Exit: The Secret Lab Exit: The Pharaoh's Tomb were winners of the 2017 Kennerspiel des Jahres (Connoisseur’s Game of the Year). 3.2 MILLION The EXIT Floor Display holds 24 units. A thrilling adventure set in the headquarters of Monochrome Inc., a biotech company with some nasty secrets. You manage to get inside, and then it’s up to you to figure out what to do. Similar to a PC adventure game, players have to explore spaces, combine items, find clues, and talk to people. Step by step, you’ll start to grasp the plot and devise a plan. A fascinating story unfolds with each action. Teamwork makes the dream work. This board game has simple rules and can be played multiple times. There is enough story content to play approximately three times with different stories each time. You wake up in a dank dungeon. It seems impossible to find your way out, especially since none of you can remember what brought you there. Similar to a PC adventure game, players have to explore spaces, combine items, find clues, and talk to people. Step by step, you’ll start to grasp the plot and devise a plan to escape. Leave no stone unturned. Exciting to the end. This board game has simple rules and can be played multiple times. There is enough story content to play approximately three times with different stories each time. 696184 AGES 8+ MSRP: $39.95 GAME AUTHOR: GRZEGORZ REJCHTMAN PLAYERS: 1-4 PLAY TIME: 25 MIN. Players race against the timer and against each other to solve a puzzle of interlocking shapes in this fast-paced, addictive, and easy-to-learn geometric puzzle game. The faster you solve the puzzle, the more gems you get. The player with the most valuable gem treasure after nine rounds of solving puzzles wins! UBONGO - FUN-SIZE EDITION 696186 AGES 7+ MSRP: $14.95 GAME AUTHOR: GRZEGORZ REJCHTMAN PLAYERS: 1-4 PLAY TIME: 15 MIN. Same great game at less than half the price! Now you can play Ubongo anywhere – at the beach, at a restaurant, at a cafe, at work – anywhere you want with this new fun-size edition of our best-selling, award-winning, classic puzzle game. UBONGO EXTREME - FUN-SIZE EDITION 699437 AGES 8+ MSRP: $14.95 GAME AUTHOR: GRZEGORZ REJCHTMAN PLAYERS: 1-4 PLAY TIME: 25 MIN. Brainwaves is a new series of games developed by game designers and neuroscientists with which players can challenge their episodic memory — their recent memory of autobiographical events. These compact, card-based games are designed and scientifically proven to exercise the brain to improve memory functions. These innovative memory games place demands on three types of brain functions: fluid intelligence, working memory, and long-term memory. The games were tested by clinical psychologists at Ulm University in Germany, in a study with more than 50 participants over a six-month period. A new series of games designed to train your brain and improve your memory! THE ASTUTE GOOSE 690830 AGES 8+ MSRP: $14.95 GAME AUTHOR: REINER KNIZIA PLAYERS: 1-5 PLAY TIME: 15 MIN. In Brainwaves: The Astute Goose, players must identify a burglar hiding in a crowd. What did the culprit look like? What color were their clothes? And what animal accomplices did they have with them? Suspect cards are assigned a number, from one to six. Players look at these cards, then turn them face down. On a turn, a player rolls the two dice: one showing a number, the other a characteristic of a burglar card. If the player can identify the correct item on the correct burglar card, they claim that card as a reward, and then put a new card in its place. Whoever collects the most cards wins. THE BRILLIANT BOAR 690823 AGES 8+ MSRP: $14.95 GAME AUTHOR: DIRK BAUMANN PLAYERS: 1-4 PLAY TIME: 15 MIN. In Brainwaves: The Brilliant Boar, each player takes cards showing different animal portraits on their reverse sides into their hand. They can look at the cards briefly when they draw them, but then must face the cards away from them. On a player’s turn, they can either take the top card from the deck into their hand or play one of their cards onto the table, attempting to make as many pairs as possible from the card just played and those already face up on the table. Whoever collects the most cards wins. THE WISE WHALE 690861 AGES 8+ MSRP: $14.95 GAME AUTHOR: MAUREEN HIRON PLAYERS: 1-4 PLAY TIME: 15 MIN. In Brainwaves: The Wise Whale, players lay nine cards showing different colorful sea creatures face down after trying to memorize which creatures are on which cards. During a player’s turn, they reveal a new card from the deck. Then, they must reveal a card that matches either the creature or the color on this new card. If they do, they claim this card, and then lay out a new card face down in its place. Whoever collects the most cards wins. In this colorful, inventive family game, players drop shapes into the vertical game board. They earn points for the highest level that their shape reaches when it lands and extra points for touching bonus circles. But be careful: Don’t break a landing rule! The shape you dropped is not allowed to touch matching shapes or colors after it lands. The winner is the player or team with the most points at the end. 692834 AGES 8+ MSRP: $29.95 GAME AUTHORS: BERNHARD LACH AND UWE RAPP PLAYERS: 2-4 PLAY TIME: 30 MIN. DIMENSION 692209 AGES 8+ MSRP: $49.95 GAME AUTHOR: LAUGE LUCHAU PLAYERS: 1-4 PLAY TIME: 30 MIN. ADDITIONAL EDUCATOR MATERIALS AVAILABLE! INGENIOUS 696116 AGES 8+ MSRP: $39.95 GAME AUTHOR: REINER KNIZIA PLAYERS: 1-4 PLAY TIME: 30-45 MIN. 2017 Spiel des Jahres Recommended! Dimension is a fast-paced, innovative puzzle game that takes place in three dimensions with 60 colorful spheres. All of the players play at the same time. Everybody tries to position the spheres on their trays to earn as many points as possible before the timer runs out. The task cards indicate how the spheres must be placed to earn points: for example, exactly two orange spheres must be on the tray, and black and blue must touch each other. Complete these tasks while racing against the timer. You get a point for each sphere you use and a bonus token for using all five colors, but you lose two points for each task card you don’t follow correctly. Prove to your opponents that you are the master of multi-dimensional thinking! Players take turns placing colored tiles on the game board, earning points for the number of matching colored symbols that radiate outward in straight lines from the placed tile. Each tile is shaped like two hexagons stuck together along one edge, each hexagon with a colored symbol on it. Thus, it’s possible to earn points by extending lines of matching symbols in five directions per hexagon, and ten per tile. The trick is that the winner is not necessarily the player who has the highest scores in a few colors. Rather, the player with the highest score in his or her lowestscoring color wins! It’s ingenious ... and it’s hugely entertaining, time and time again. In this fast-paced, word-based guessing game, two teams each have a storyteller. Playing at the same time, they must give clues to their teammates so the teams can correctly guess the same answer word. Speaking and acting is absolutely forbidden for the storytellers! They must tell their stories using only 105 cards, each with one word on it: a noun, verb, adjective, or preposition. 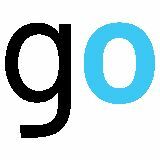 All the fast-paced fun wordplay of the original hit game, but in a streamlined, compact format. This version includes 100 story word cards and 100 answer cards, with a total of 600 answer terms in seven categories. It includes easier, family-friendly answer words suitable for families and groups with kids ages 10 and up. This game can be played both as an expansion to the base game and as a standalone game. ROLL FOR ADVENTURE 692988 AGES 10+ MSRP: $34.95 GAME AUTHOR: MATTHEW DUNSTAN & BRETT J. GILBERT PLAYERS: 2-4 PLAY TIME: 30 MIN. The old kingdom is in danger. Enemy armies are attacking from all directions thanks to the Dark Lord, who seeks to cast eternal darkness across the land. Players must band together to collect the fabled power stones and complete the magical amulet. If they succeed, theyâ&#x20AC;&#x2122;ll save the empire and win the game. However, should even one area fall under the control of the Dark Lord, the players lose the game immediately. A dice-rolling fantasy game for 2-4 players. TRIBES 691059 AGES 10+ MSRP: $49.95 GAME AUTHOR: RUSTAN HĂ&#x2026;KANSSON PLAYERS: 2-4 PLAY TIME: 45 MIN. Dawn of Humanity. Experience 30,000 years of civilization in 45 minutes. Tribes: Dawn of Humanity is a civilization game with quick turns and fast rounds. The players lead their tribes in short, fast turns through the early history of humanity to the Bronze Age. They settle unknown lands and extract valuable resources through which they in turn discover new tools and inventions. Who will best prepare their tribe against events such as natural disasters? Who will take the lead, and who will follow in the footsteps? Each turn, a player selects an action from the action display: grow, explore, or move. The first action is always free, while additional ones cost valuable shells. The used action moves to the end and the next player takes another action. It is important to use your scarce shells wisely. The players start with a small tribe that can grow and become powerful as they are sent out to discover new lands and valuable resources. Who will be the most tactical leader and guide their tribe to victory? LEGENDS OF ANDOR: BASE GAME 691745 AGES 10+ MSRP: $59.95 GAME AUTHOR: MICHAEL MENZEL PLAYERS: 2-4 PLAY TIME: 60-90 MIN. The Land of Andor is in danger. In this cooperative board game, bands of heroes embark on dangerous quests to secure Andor’s borders, fighting against invading creatures and forces of dark magic while experiencing fantastic adventures in which they learn about the history of the land they are eager to protect. LEGENDS OF ANDOR: NEW HEROES EXPANSION PACK 692261 AGES 10+ MSRP: $19.95 GAME AUTHOR: MICHAEL MENZEL PLAYERS: 2-6 PLAY TIME: 60-90 MIN. New Heroes allows for play by up to 6 players. But even for just two, three, or four, these new heroes offer some exciting variety. LEGENDS OF ANDOR: THE STAR SHIELD EXPANSION PACK 691936 AGES 10+ MSRP: $19.95 GAME AUTHOR: MICHAEL MENZEL PLAYERS: 2-4 PLAY TIME: 60-90 MIN. Played with the base game, The Star Shield offers new quests to complete and foes to battle. LEGENDS OF ANDOR: JOURNEY TO THE NORTH (EXPANSION PACK) 692346 AGES 10+ MSRP: $49.95 GAME AUTHOR: MICHAEL MENZEL PLAYERS: 2-4 PLAY TIME: 60-90 MIN. After many years of living in peace, the heroes of Andor receive a new cry for help — this time from the distant land of Hadria. You immediately step aboard an old sailing vessel to embark on a perilous journey to the north. After you have properly equipped your ship, you discover strange islands and must work together to protect their coasts from terrible sea monsters. Soon thereafter you find yourselves in the midst of thunderous storms. You must persevere against the unbridled forces of the sea. And a great secret will be uncovered during your journey. This expansion for the highly awarded and beautifully illustrated Legends of Andor offers four legends with new challenges, new heroes, and new creatures. Along with the base game, this is a cooperative role-playing adventure game for two to four players. LEGENDS OF ANDOR: THE LAST HOPE 692803 AGES 10+ MSRP: $59.95 GAME AUTHOR: MICHAEL MENZEL PLAYERS: 2-4 PLAY TIME: 60-90 MIN. When the Krahder ended their raid, they captured countless residents of Andor. But finally, the heroes of Andor returned and resolved to free the prisoners. You must immediately venture to the south to endure your greatest adventure. Beyond the Gray Mountains, malicious skeleton warriors await you, commanded by giant Krahder. Will you be able to survive this adventure with the aid of the four magic shields from ancient times? You are … The Last Hope. In seven captivating Legends, experience the epic finale of the fantastic Andor trilogy! LEGENDS OF ANDOR: DARK HEROES EXPANSION PACK 692841 AGES 10+ MSRP: $24.95 GAME AUTHOR: MICHAEL MENZEL PLAYERS: 2-6 PLAY TIME: 60-90 MIN. Expansion for 5 and 6 Players. Four unconventional heroes and heroines are called upon to help the Andori: Darh, the summoner of the mighty bone-golems; Forn, the strong half-skral; Leander, the shadowy seer, and Drukil, the werebear — a shape-shifter who can turn into a huge bear. But these complex heroes don’t only offer advantages; they can also become a threat to your group. With this expansion, the Legends of Andor base game and the epic finale to the Andor trilogy, The Last Hope, can be played with up to six players. These dark heroes can also bring completely new gameplay possibilities to games of two to four players. The expansion includes four new hero boards, dice, cards, and figures. IMHOTEP: THE DUEL 694272 AGES 10+ MSRP: $19.95 GAME AUTHOR: PHIL WALKER-HARDING PLAYERS: 2 PLAY TIME: 30 MIN. The competition of the builders continues in Imhotep: The Duel! In this game, players take on the roles of Nefertiti and Akhenaten, one of Egypt's most famous royal couples. Game pieces must be cleverly placed so that players can unload the most valuable tiles from the six boats. While this is happening, each player builds their own four monuments in order to gain as many fame points as possible. IMHOTEP: THE NEW DYNASTY 694067 AGES 10+ MSRP: $24.95 GAME AUTHOR: PHIL WALKER-HARDING PLAYERS: 2-4 PLAY TIME: 50 MIN. Construction of the Egyptian monuments continues! You have shown yourself to be worthy, and have been selected to lead future building projects. Can you prove your skill once again? With new building site boards, new market cards, and much more, this expansion yields 1,024 playing variations in combination with the base game. IMHOTEP 692384 AGES 10+ MSRP: $39.95 GAME AUTHOR: PHIL WALKER-HARDING PLAYERS: 2-4 PLAY TIME: 40 MIN. Players take on the roles of ancient Egyptian architects. Over six rounds, they try to transport stone blocks to end up in the most valuable positions at five construction sites, while thwarting their opponentsâ&#x20AC;&#x2122; efforts to do the same. To win the game and be named the greatest architect, you must get your blocks to the right places, in the right order, at the right time. LOST CITIES RIVALS 690335 AGES 10+ MSRP: $14.95 GAME AUTHOR: REINER KNIZIA PLAYERS: 2-4 PLAY TIME: 40 MIN. Use your cards to venture down expedition routes that take you to far-flung and mysterious corners of the Earth: to an abandoned mountain temple, a decaying circle of stone, a city sunken under the sea, an ancient Stone-Age settlement, and a town inside of a mountain. Your goal is to plan the routes in such a way that they bring you the greatest possible fame. And if you are especially daring, you will also be able to wager on the success of your own expeditions. LOST CITIES CARD GAME 691821 AGES 10+ MSRP: $19.95 GAME AUTHOR: REINER KNIZIA PLAYERS: 2 PLAY TIME: 30 MIN. Two explorers embark on research journeys to remote corners of the world. As the cards are played, the expedition routes take shape and the explorers earn points. The most daring adventurers make bets on the success of their expeditions. The explorer with the highest score after three rounds of expeditions wins! This new edition features a sixth set of expedition cards and a two-sided game board: On one side is the classic five-expedition game. On the other side, a new variant with six expeditions is offered. LOST CITIES BOARD GAME 696175 AGES 10+ MSRP: $39.95 GAME AUTHOR: REINER KNIZIA PLAYERS: 2-4 PLAY TIME: 30-60 MIN. Each player guides a team of explorers on up to five expeditions to discover forgotten cities. To advance along an expedition path, a card in the pathâ&#x20AC;&#x2122;s color must be played for each step forward. Points are awarded based on how far the explorers make it along their paths, and the player with the most points at the end of the game wins! THE PILLARS OF THE EARTH 691530 AGES 12+ MSRP: $59.95 GAME AUTHOR: MICHAEL RIENECK PLAYERS: 3+ PLAY TIME: 90-120 MIN. The setting is England at the beginning of the 12th century. The construction of what is to be the greatest and most beautiful cathedral in England begins. Builders compete against each other to contribute the most to this cathedral’s construction and, in so doing, score the most victory points. What actions will you take on your path to victory? Transport yourself to Medieval England! Based on Ken Follet’s best-selling novel of the same name. MERCADO 692964 AGES 10+ MSRP: $49.95 GAME AUTHOR: RÜDIGER DORN PLAYERS: 2-4 PLAY TIME: 30-40 MIN. The setting is Europe in the time of Elizabeth I. In England, France, Spain, and the Netherlands, Catholics and Protestants compete for power and influence. In this politically unstable environment, resourceful operatives and courageous secret agents plot to secure power for their rulers. The balance of power shifts back and forth amidst foiled assassinations, successful rebellions, and futile invasions. Who will best exploit the changing power conditions in Europe to win? As players in Mercado, you assume the roles of wealthy members of upper class society. To raise your social status, you must buy luxury goods. Several market stands are laid out on the table where you can see valuable products and their prices, which are various combinations of colored coins. But to complicate matters, some of the coins are counterfeit. Every player has his or her own coin purse with different colored coins in it. On a turn, a player grabs blindly into the purse, pulls out three coins, and places them on the market stands of his or her choice. If a player has enough coins on a market stand after a few rounds, the player receives the luxury item from this market stand, and earns the corresponding reputation points. This innovative vertical holder with interchangeable game boards and magnetic game pieces allows you to play three fun, action-packed games. The games are played in teams, playing one at a time. One teammate must move the guide magnet on the backside of the game board, while the other teammate sees the game magnet move on the front of the board. This teammate must communicate with the teammate controlling the magnet and tell him or her how to move the magnet to complete the game challenge without the magnet falling off or going to the wrong spot. KAHUNA 691806 AGES 10+ MSRP: $24.95 GAME AUTHOR: GÜNTER CORNETT PLAYERS: 2 PLAY TIME: 30 MIN. Two Kahuna — ancient sorcerers of the Pacific — compete for dominance on an archipelago consisting of twelve islands. THE ROSE KING 691790 AGES 10+ MSRP: $19.95 GAME AUTHOR: DIRK HENN PLAYERS: 2 PLAY TIME: 30 MIN. Use cards to bring territories under their control, and aim to keep territories as contiguous as possible. TARGI 691479 AGES 10+ MSRP: $19.95 GAME AUTHOR: ANDREAS STEIGER PLAYERS: 2 PLAY TIME: 60 MIN. As a Targi tribe leader, you trade dates, salt, and pepper to obtain coveted gold coins and advantages. TALLY HO! 691837 AGES 8+ MSRP: $19.95 GAME AUTHOR: RUDI HOFFMAN PLAYERS: 2 PLAY TIME: 40 MIN. The hunter becomes the hunted in this humorous two-player game in which humans, animals, and trees battle it out. 2016 Kinderspiel des Jahres Recommended!! 2016 Kinderspiel des Jahres Recommended! JUNGLE PARTY 697358 AGES 5+ MSRP: $34.95 GAME AUTHOR: STEFAN DORRA AND MANFRED REINDL PLAYERS: 2-4 PLAY TIME: 20 MIN. In this memory game, find your animal friends in the river to make your way along the jungle path. 2011 Kinderspiel des Jahres Nominee! 2017 Kinderspiel des Jahres Recommended! MONSTER TRAP 680305 AGES 6+ MSRP: $34.95 GAME AUTHOR: INKA AND MARKUS BRAND PLAYERS: 2-4 PLAY TIME: 20 MIN. The monsters are loose in the mansion and you must hide them all from Grandma before she sees! LAGOONIES 697648 AGES 5+ MSRP: $39.95 GAME AUTHOR: JENS-PETER SCHLIEMANN AND BERNHARD WEBER PLAYERS: 2-4 PLAY TIME: 20 MIN. Magic is a centuries-old performance art that captivates audiences by appealing to their fascination with the inexplicable. Thames & Kosmos offers a line of comprehensive magic sets that help children develop presentation skills, confidence, hand-eye coordination, dexterity, and reading skills, while they have fun performing magic tricks and entertaining audiences. RABBIT’S HAT MAGIC TRICKS 680283 AGES 6+ MSRP: $4.95 EACH TRICKS: 2-3 PROPS: 2-6 MANUAL PAGES: 2 A magician is nothing without her hat, and with these hats you too can become a master magician. Aspiring magicians ages six and up can take their show on the road with these portable mini magic kits. Each small top hat contains the props and instructions to perform two or three simple, unique magic tricks with different themes — from shape-shifting to mindreading to x-ray vision, and more! The Rabbit's Hat Magic Tricks display holds 18 assorted hats. •	Simple and affordable mini magic kits •	Each hat contains props and instructions for two or three tricks. •	Collect all eight hats. The Rabbit's Hat Magic Tricks Point-ofPurchase Display holds 18 assorted hats. The Holdsworth Guild’s best value magic kit! Follow the instructions in the two manuals to learn up to 415 tricks using the 49 props included. With 20 simple, easy-to-learn tricks and clear step-by-step instructions, this introductory magic kit makes it possible for children ages five and up to practice and perform their first magic shows. •	Kid-friendly, comic-book-style instructional videos available online •	Tricks are labeled by difficulty, letting kids know which ones will require a little bit of extra practice! THAMES & KOSMOS GLOBES These high-quality globes are made of acrylic, rather than cardboard (like many other globes), making them extremely durable and sturdy. The process by which the map graphics are printed onto the globes ensures best-in-class resolution, brilliant colors, and fade resistance. These globes make educational and beautiful additions to any child’s room. They are manufactured in Germany by Columbus, the oldest and most respected manufacturer in the globe industry (established in 1909). •	Ten-inch durable acrylic globe with geopolitical boundaries •	Learn about latitude, longitude, time zones, and more. RESOURCES FOR EDUCATORS While all Thames & Kosmos products are educational, many of the products are "informal educational products," meaning they are designed and intended for use outside of a formal classroom setting. Our aim is to provide educators with resources that help them relate and adapt our informal education products to their classes and programs, and also to provide products that are aligned to more formal educational needs from the start. To achieve this, we have begun to identify correlations with NGSS standards and provide additional resources on our website. NGSS CORRELATIONS The Next Generation Science Standards (NGSS) is a set of K–12 science standards developed to promote greater scientific understanding and literacy in students. Each standard is made up of three dimensions — practices, core ideas, and crosscutting concepts — that combine to form a performance expectation. ADDITIONAL EDUCATIONAL RESOURCES Teacher tip sheets and curriculum are available online for the kits and games listed below. We will continue to add new products and resources. A sampling of some of the awards current Thames & Kosmos products have received. SAFETY The products in this catalog conform to all applicable mandatory US safety standards. More specifically, the products conform to all applicable US safety standards dictated by the Code of Federal Regulations (CFR) Commercial Practices, Part 16, including the additional provisions established by the Consumer Product Safety Improvement Act (CPSIA) and the standards dictated by the American Society for Testing and Materials (ASTM) F963 Standard Consumer Safety Specification for Toy Safety, when applicable. Because many of the products are toys that originate in Germany, they are also often tested according to the European Safety Standard for Toys, EN-71. Results of safety tests conducted by independent laboratories will be provided upon request. When thinking about the safety of science kits in particular, it is important to remember that while most science kits are children’s products, science kits are not toys for play. None of our kits are intended for children under the age of three years, and all of our science kits require the presence and supervision of a responsible parent or adult. Our instruction manuals always provide important safety advice to children, parents, and adults, as well as first aid advice when applicable. Some common safety precautions apply to all of our science kits: 1. A responsible parent or adult must always supervise the experimentation. 2. All users must read the manuals thoroughly before experimentation and follow all instructions and safety advice prescribed in the manuals. 3. The manual and packaging must always be kept ready for reference. 4. The kits must be kept away from children who are younger than the prescribed age. 5. Caution must be used in handling any objects with sharp points or edges, or that may break to yield sharp points or edges. 6. Users should not put any of the parts in their mouths. 7. Users should always wash their hands after experimenting. email contact@thamesandkosmos.com www.thamesandkosmos.com Please visit our web site for a list of retailers and sales representatives. ÂŠ 2019 Thames & Kosmos LLC. ÂŽThames & Kosmos and Circles Logo are registered trademarks of Thames & Kosmos LLC. All rights reserved.